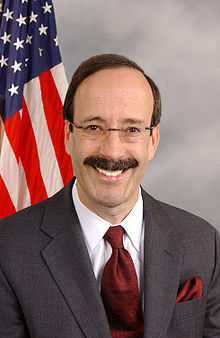 Despite the election of certain pro-BDS candidates, such as New York’s Alexandria Ocasio-Cortez, Minnesota’s Ilhan Omar and Michigan’s Rashida Tlaib, the heads of committees significant for furthering policy related to Israel are mainstream Democrats: New York’s Eliot Engel for Foreign Affairs, and Nita Lowey, also from New York, for Appropriations. The American Israel Public Affairs Committee and the Zionist Organization of America expressed optimism over what will be a split Congress, with the Senate remaining in Republican hands, even gaining a few seats. “At a time of intense partisan polarization, candidates from both parties overwhelmingly expressed their support for Israel’s security and her efforts to reach peace with all of her neighbors,” AIPAC said in a statement. However, Klein expressed concern over the three pro-BDS candidates. 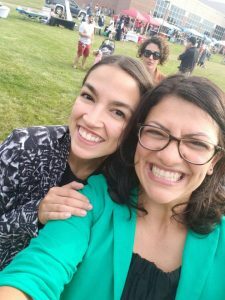 Rashida Tlaib (right), a Palestinian American who recently won her race for congress in Michigan, appearing along with fellow incoming Democrat from New York Alexandria Ocasio-Cortez. Credit: Rashida Tlaib via Twitter. National Council of Young Israel president Farley Weiss echoed Klein’s sentiment. “A divided Congress should have no impact on the pro-Israel policies of the administration,” he added. Here are the races previously noted as key to the Jewish and pro-Israel community. Note: Jewish population figures are from 2012, and according to the North American Jewish Data Bank by the Jewish Federations of North America. All results are projections from the Associated Press. Geography: This district covers a large part of northern and western New Jersey, including wealthy New York City suburbs. Result: With 50.3 percent of the vote, Tom Malinowski is projected to unseat five-term Republican Rep. Leonard Lance. The former served under Obama as the Assistant Secretary of State for Democracy, Human Rights and Labor. 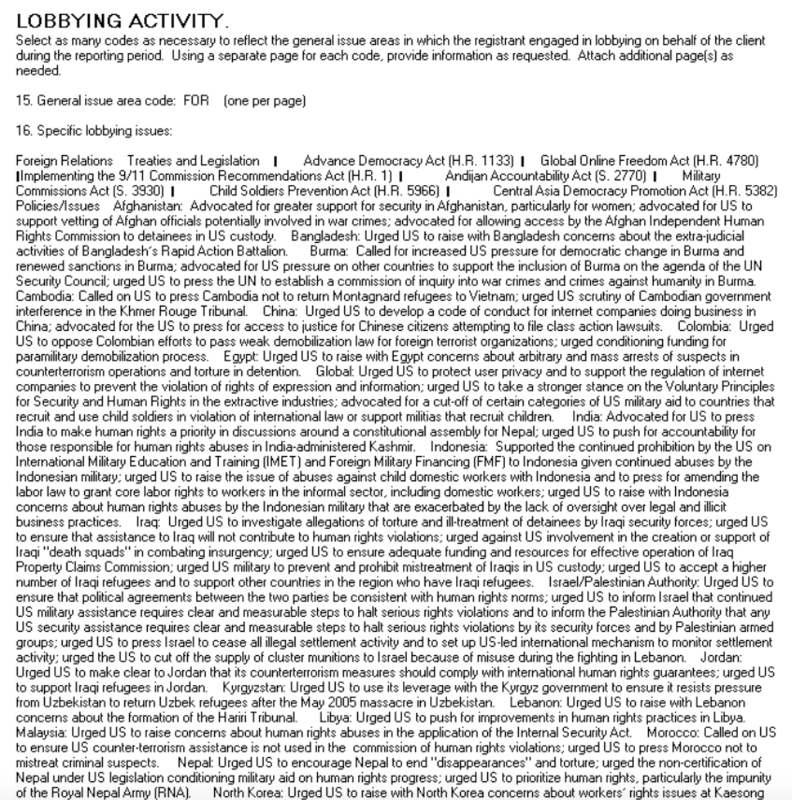 Malinowski is a proponent of the 2015 Iran nuclear deal. 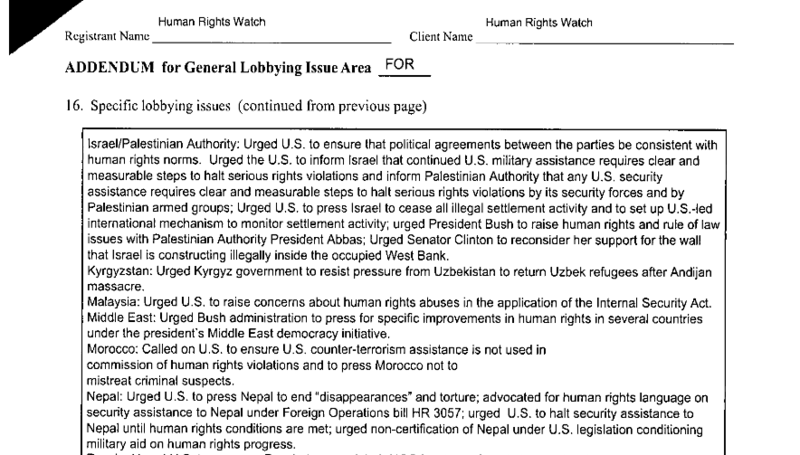 As a lobbyist for Human Rights Watch, Malinowski advocated against American support of the Israeli military and opposed the United States for giving the Israeli Defense Forces cluster munitions. He also asked then-New York Sen. Hillary Clinton to not back Israel’s construction of an “illegal” wall along the West Bank. Geography: This district covers part of central New Jersey. Result: While the race is too close to call, incumbent Republican Rep. Tom MacArthur leads Democrat Andy Kim, 49.8 percent to 48.9 percent, respectively. MacArthur opposed the Iran deal and supported the reimposition of U.S. sanctions on the regime, while Kim backed the accord and has been endorsed by J Street PAC. Geography: This district covers both part of northern Los Angeles County and Ventura County. Result: Although the race is too close to call, Democrat Katie Hill leads incumbent Republican Rep. Steve Knight with 51.3 percent of the vote. Hill, a nonprofit director whose organization is the state’s “largest nonprofit provider of homes for the homeless,” according to her campaign website, was endorsed by J Street, and condemned the overall violence in Gaza during the U.S. embassy opening in Jerusalem in May and opposed America withdrawing from the Iran nuclear deal. Geography: This district covers Orange County, including Irvine and Laguna Hills. Result: While the race is too close to call, incumbent Republican Rep. Mimi Walters leads Democrat Katie Porter with 51.7 percent of the vote. Walters, who was against the Iran deal, has repeatedly stressed that Israel is one of the United States’ closest allies. Geography: This district in Southern California covers Orange County, including Huntington Beach. Result: With 50.7 percent of the vote, Democrat Harley Rouda is projected to unseat Republican Rep. Dana Rohrabacher. Geography: This district covers parts of San Diego County and Riverside County. Result: Despite being indicted on campaign finance violations in August, incumbent Republican Rep. Duncan Hunter leads Democrat Ammar Campa-Najjar by 54.2 percent (NBC News and CNN have already projected a Hunter victory). Campa-Najjar served in the Obama administration and is a grandson of Muhammad Yousef al-Najjar, who was a member of the Black September terrorist group that killed 11 members of the Israeli athletic team at the 1972 Munich Summer Olympics and was assassinated by Israeli commandos in Beirut in 1973. “As an American citizen living in the 21st century, I will never be able to understand or condone the actions and motivations of my grandfather,” he told Haaretz in February before telling local outlets that these remarks would not be utilized for political gain. Geography: This district is northwest of Detroit. Result: In the race to replace retiring Republican Rep. Dave Tortt, Democrat Haley Stevens is projected to win over Republican Lena Epstein, 52.1 percent to 44.9 percent, respectively. Geography: This district is located in Hudson Valley and the Catskills. Result: Democrat Antonio Delgado is projected to unseat Republican Rep. John Faso, 49.8 percent to 47.6 percent, respectively. Geography: This district is just west of Houston. Result: With 52.3 percent of the vote, Democrat Lizzie Fletcher is projected to unseat Republican Rep. John Culberson. Fletcher has not said anything publicly about issues related to the Jewish and pro-Israel community. Geography: This district includes Charlottesville, home to the University of Virginia. Result: In the race to replace the retiring Tom Garrett, Republican small business owner Denver Riggleman is projected to win against Leslie Cockburn with 56.3 percent of the vote. The latter has come under fire from the pro-Israel community. She and her husband Andrew Cockburn’s book, Dangerous Liaisons: The Inside Story of the U.S.-Israeli Covert Relationship, “is largely dedicated to Israel-bashing for its own sake. Its first message is that, win or lose, smart or dumb, right or wrong, suave or boorish, Israelis are a menace. 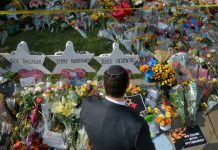 The second is that the Israeli-American connection is somewhere behind just about everything that ails us,” according to a New York Times book review.